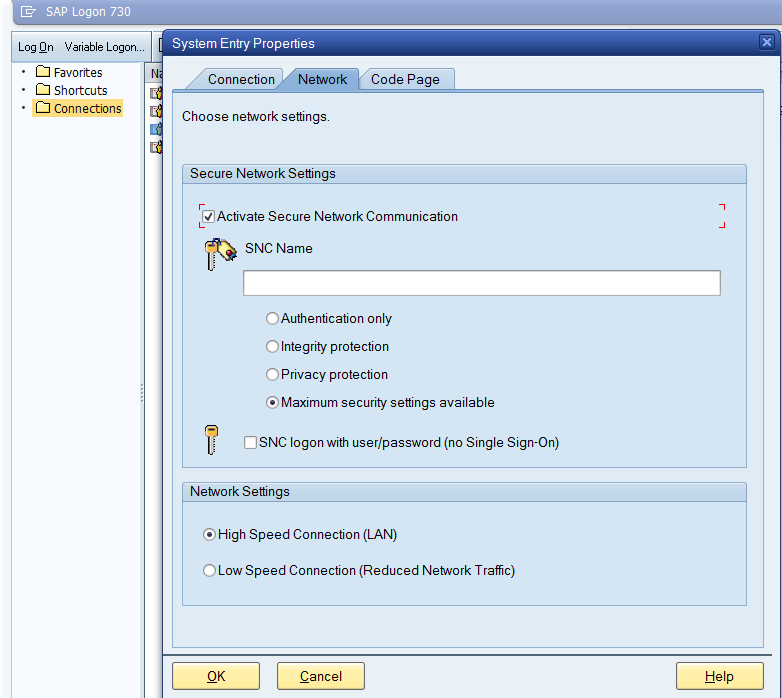 It is the fact that by default communicating between users’ SAP GUI and SAP server is not encrypted. However this information is not very known within SAP people community. Most of the people simple do not know about it. User’s data like passwords can be compromised while it is being end over the network. It is not very important to make this communication secure means to make it encrypted. There is setting in SAP GUI which enables encryption. However to simple set this setting ON is not enough. There are activities on SAP backend to be done. It is so called Secure Network Communication (SNC) library that needs to be installed in both sides’ client and server. The SNC provides security at the application level. It makes secure connection between the SAP GUI (it support DIAG and also RFC protocols) and the SAP application server.